Brandon Ketchum, 33, was a US Marine and Army National Guard Combat veteran. He took his own life on July 7, 2016, one day after the Iowa City VA refused to admit him into their Psychiatric unit. Brandon saw the same psychiatrist for over a year. He was “flagged” as a suicide risk on at least two prior occasions. And yet, he was turned away. “He had relapsed and was abusing drugs and he just was in a bad place,” said Kristine Nichols, Brandon’s girlfriend of three years who lived with him in Davenport, Iowa. Nichols said she watched Brandon struggle with post-traumatic stress disorder (PTSD) and addictions – first to painkillers, and then heroin. “He had asked me if I thought he should get inpatient (treatment) and I told him, you know, if he felt that he needed to,” Nichols said of her conversation with Ketchum last Thursday. So Brandon drove to the Iowa City VA Medical Center where he had seen the same psychiatrist for over a year, according to Nichols. But the VA told him no. One day later, after expressing his anger on Facebook, he took his own life. Now his family wants answers, and are attempting to get his medical records to find out why he was turned away. 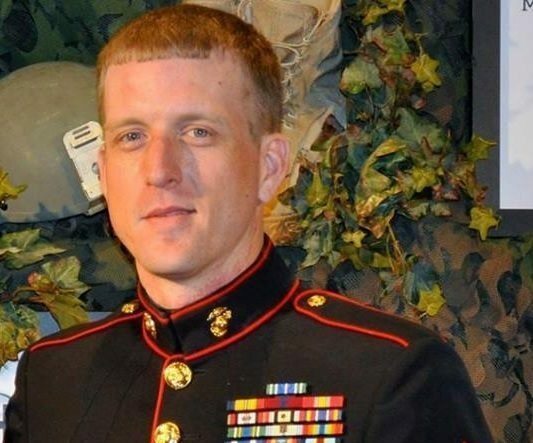 Brandon served two tours as a Marine Combat Engineer – the ones who clear roadside bombs. He experienced several explosions, and ended up with Traumatic Brain Injuries (TBIs), and PTSD. But when his Marine service was done, he enlisted in the Army National Guard and did a tour of duty in Afghanistan. His brother Bradley Ketchum is also an Army combat veteran who served in Iraq. The family is proud of their sons’ service to the country they loved. But that country failed Brandon, by refusing a simple request for help from someone the VA knew was struggling. When local news reached out to the Iowa City VA, they would not comment other than to say there are usually plenty of beds available in the psych ward. They are charged with saving lives… and in this case they failed. As a nation, can we not find some some compassion for our own citizens, our own veterans who are struggling? We trained then and sent them to war, can we not attempt to understand the horror and pain they experience and reach out to prevent such tragedies? We lose an average of 20 of our nation’s military veterans every day to suicide. (Latest estimate). While not all VAs are heartless, “procedures” and rules or sheer laziness should not bind them to turning away anyone in need of help. Caring and insight must take precedence. Our nation’s military must have the respect of the medical profession. It is imperative that we find ways to prevent the epidemic of suicide within our veterans and military communities.